New excavation at Tall Harmal the ancient city of Shaduppum, took place in the spring 1997 and in the autumn of 1998 as a joint archaeological project between Baghdad University and the German Archaeological Institute, which has been generously supported by the Director of the Department of Antiquities and Heritage Dr. Muayad Said Damerji and other colleagues and friends at the Baghdad University and the Iraq Museum. Tall Harmal is a well-known site. From 1945 until 1963 intensive excavations took place here carried on by Taha Baqir and Muhammed Ali Mustafa of the Department of Antiquities. Several Old Babylonian archives containing about 3000 documents were found and the most important public buildings of the ancient city were excavated and reconstructed. Finally, the expedition executed few deeper soundings and found traces of three or four building levels from the 3rd millennium BC. As a result of this work we know that the town existed already in the Akkadian Period. This was revealed on account of several Akkadian cylinder seals were found in the site and they are pointing to the same roots. 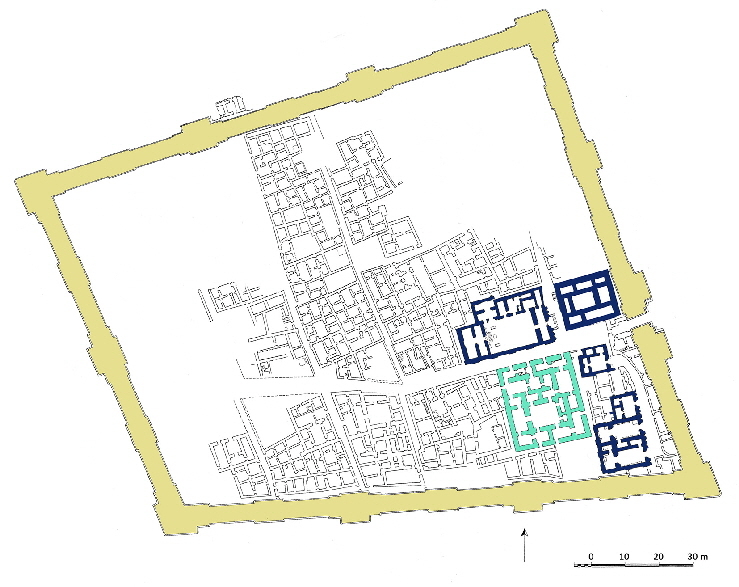 The main result of this former excavations was nearly complete clearing out of the building levels II and III with the settlement of the Isin-Larsa-Period. Many private houses, eight temples and a big public administration building were identified. The remains of the upper level II show traces of a fire and destruction, probably dating back to the wars between the Eshnunna kingdom, the Elamite rulers and king Hammurabi of Babylon.